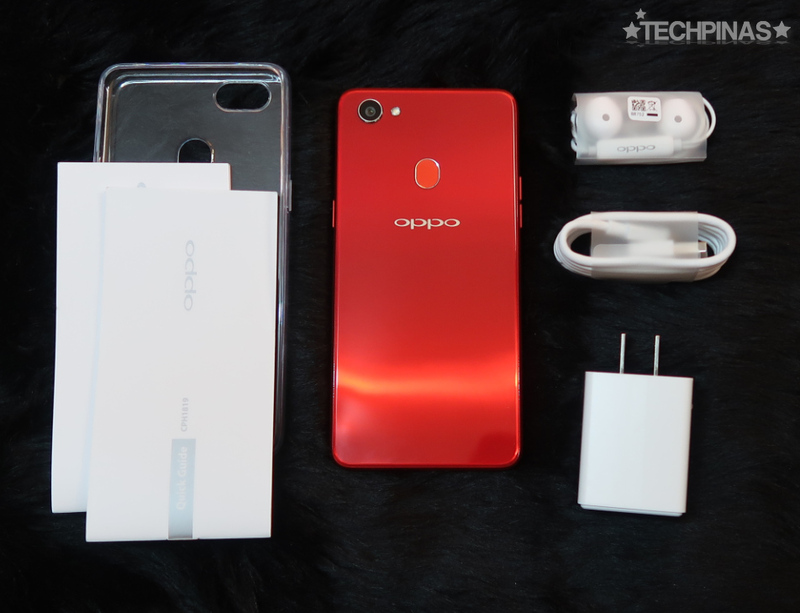 Great news for all OPPO Fans in the Philippines! 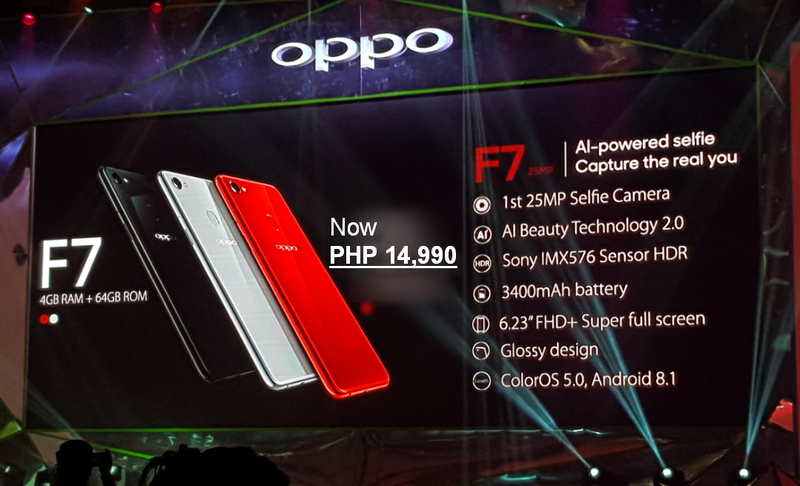 The Chinese tech giant has just slashed a whopping PHP 3,000 off the official suggested retail price of their extremely popular OPPO F7 2018 Android smartphone, bringing it down to just PHP 14,990! Believe it! 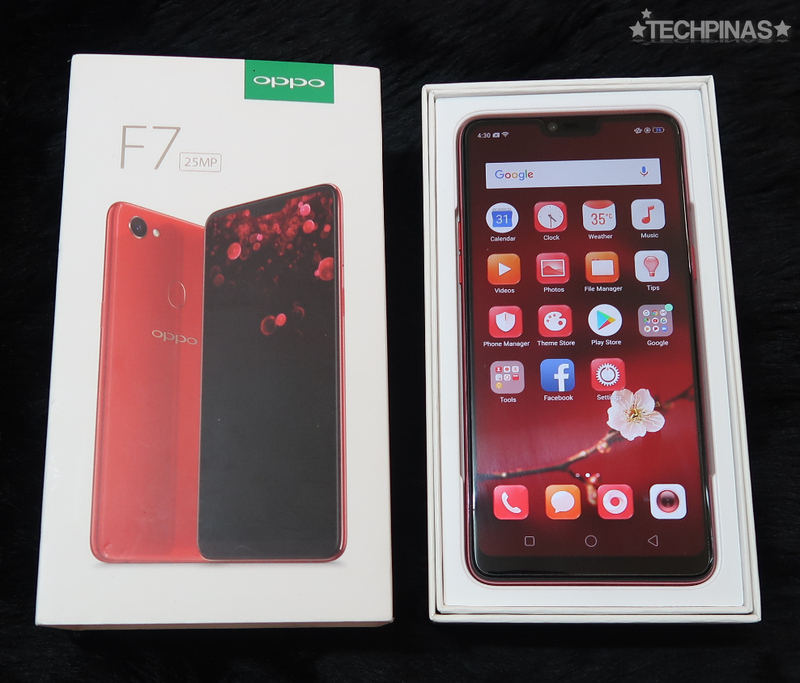 The OPPO F7 became a legitimate best-seller in the Philippines for so many valid reasons, including its large 6.32-inch Full HD+ LTPS Display with tall 19:9 Aspect Ratio (which allowed OPPO to increase its size without making the handset bigger) delivering an enjoyable viewing experience anytime and anywhere, the 16 MP f/1.8 rear camera with Sony IMX576 Sensor for stellar low light performance, the ultra-high resolution 25 MegaPixel front camera that captures the real you through AI Beauty technology, the Fingerprint Scanner at the back adding an extra-layer of security and protection, and the large 3,400 mAh Li-Ion battery pack that delivers more than a whole day of uptime. Of course, the smartphone's internal hardware - headlined by the flagship-level MediaTek Helio P60 processor that's both powerful and energy-efficient, 4GB of RAM for smooth multitasking, and a sizable 64GB of internal storage that can even be expanded using the dedicated microSD card slot - also made this model very attractive to heavy mobile gamers and power users. These innards are encased by the OPPO F7's glass-sandwich exterior that's both durable and aesthetically pleasing. One of the more controversial features of the OPPO F7 is its notch, which houses the front cam with integrated facial recognition software. Some people hate it but many - including myself - have learned to accept it and to see it as a novelty marker. OPPO F7 is now available at all OPPO Concept Stores and authorized dealers nationwide as well as online. When you purchase this handset for PHP 14,990, you will get the official retail package which includes the unit itself, the fast travel charger, microUSB to USB connector cable, pair of earphones, user guide, warranty certificate, and a free soft gel case to protect the device.